Whether your project is large or small we can help. 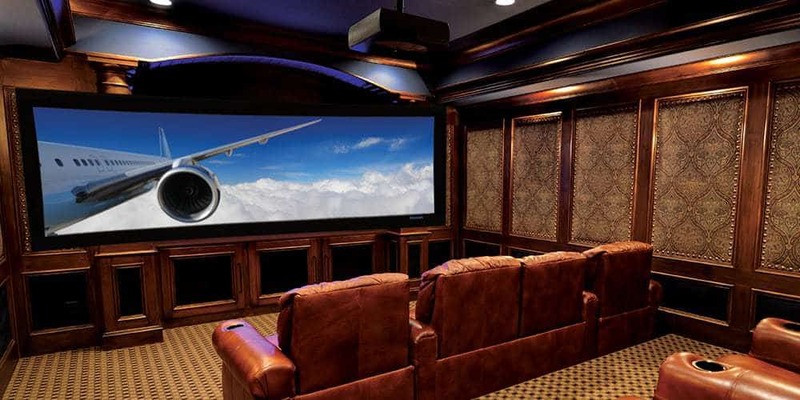 We often have cost effective, pragmatic solutions to complex problems and draw upon our years of studio and home theater design and building experience. We evaluate and offer recommendations on issues of room acoustic response, acoustic treatments, sound leakage, room design, feasibility studies for new or remodel construction, and other matters pertaining to sound control. We work with clients locally, nationally and internationally. YOUR aesthetic, our design. We don’t force our designs down your throat. Your creative vision (read Pinterest) dictates all aspects of our acoustic design. This includes elevations, floor plans, soundproofing & acoustic specs, interior design, equipment placement, colors and finishes. We use golden room ratios that optimize acoustic response and ergonomic design to work within the aesthetic and budgetary guidelines of our clients. We use both Sketchup and AutoCad to create and modify existing layoouts. We have a crew of master carpenters who claim to be descended from the legendary craftsmen that built the ancient city of Dwarka for Lord Krishna. While this is yet to be verified, they make certain the details are finished to the highest standards. Our attention to detail is unmatched. For larger projects we serve as general contractor or project manager, have a team of seasoned sub-contractors, and facilitate all aspects to insure projects meet our specifications and are completed on schedule. 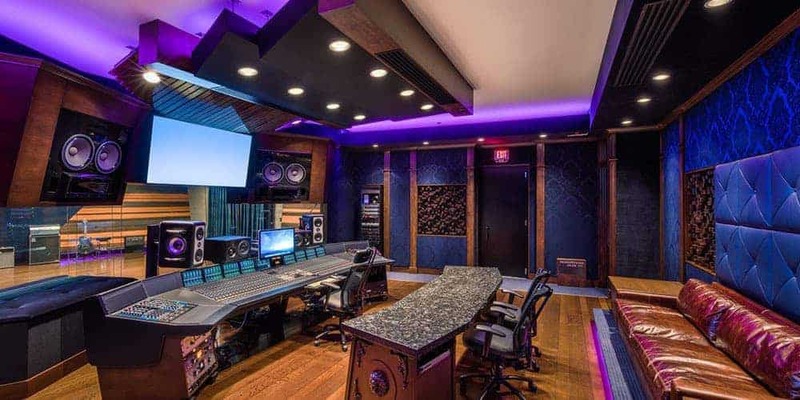 A professional recording studio has requirements brought upon it not only by the medium in which it operates but also by the surrounding community. Environmental sound isolation is an absolute must just the same as isolating the local environment from sounds being generated inside the facility. 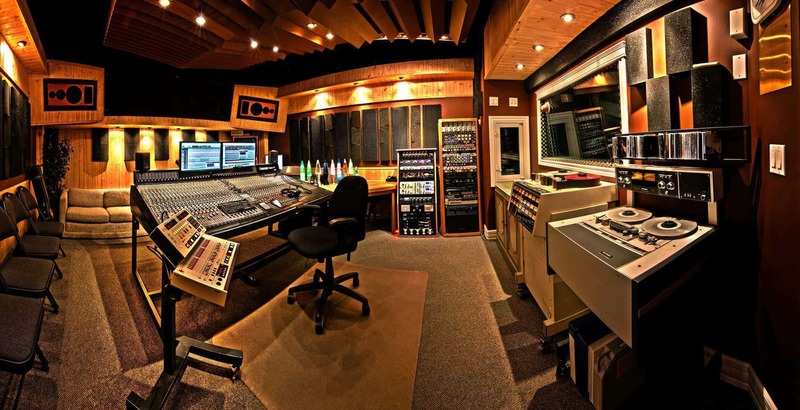 As digital recording has improved the signal to noise ratio of the actual recording process, a modern studio must have equivalent signal to noise in its acoustics. We understand the revenue models and return of investment calculatons for different studios like 5.1 TV studios, advertising studios, post-production studios, music composition studios, and even home studios and design and budget accordingly to ensure that you setup a successful business that can become profitable within a short period. Video/Film creation and viewing are two sides of a coin but they both share a common thread: acoustics plays a major role in the success of both. Live footage is blended with studio effects and dubbing. These effects and the dubbing must match absolutely perfect with the live take. For this reason ADR rooms/booths use extreme isolation and near anechoic treatment to remove any artifacts from the recorded dub or effect. Likewise, a cinema must provide the environment so that the participant is immersed in the film. Both types of facilities must meet noise requirements of NC-15 (noise criteria). We design commercial and home cinema theaters in 5.1, 7.1, and Dolby Atmos. A home studio presents its own challenges. Most of the time, an unused room is cleared for this purpose and this room is less-than-ideal in shape and/or size. We can help you confront the challenges involved with solid, experienced, consulting. Ceiling height for internal room acoustics as well as nearby noise sources or noise-sensitive neighbors are among the most common issues. 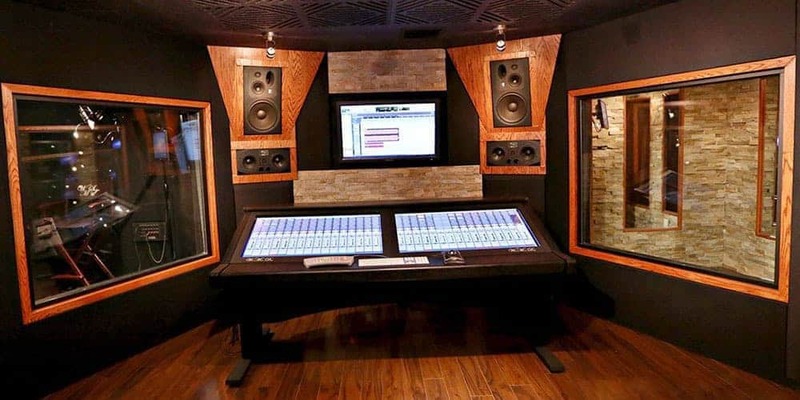 Our acoustic design and products have been used in over 700 home recording studios in India. 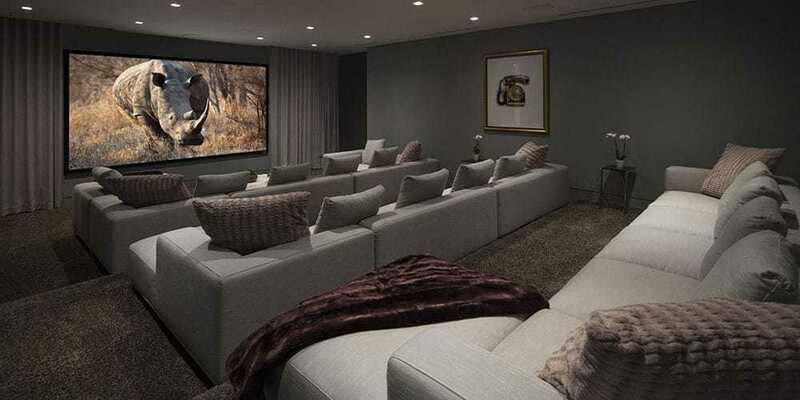 You might not want to go to a public cinema again after watching a movie in one of our Home Theaters. The sound is accurate just as the producers heard and saw the film when they were editing in post production. The sight lines are optimal and the sound is as-though-you-are-IN-the-movie. Home Theater spaces are often used for audiophile listening. Every parameter is optimized in this room system: – electronics, sight lines, acoustics, isolation, HVAC and room lighting. Extraneous noise must be eliminated along with any noise producing equipment within the facility. This includes HVAC and the noise criteria is specified from NC-15 to NC-20. Electrical and audio wiring must follow special rules to eliminate noise, hum, hash, and interference. This is critical. Good acoustics in the classroom will result in better student scores on tests and exams.